I regret to report that my sweet potato recipe did not win the contest. God only knows whether I’m getting my just desserts for not paying attention to the sermon, or whether retribution is in order for the contest judges, or whether God is too busy with a few other things to worry about than who wins the North Carolina Sweet Potato Recipe contest. So–off to other vegetables. 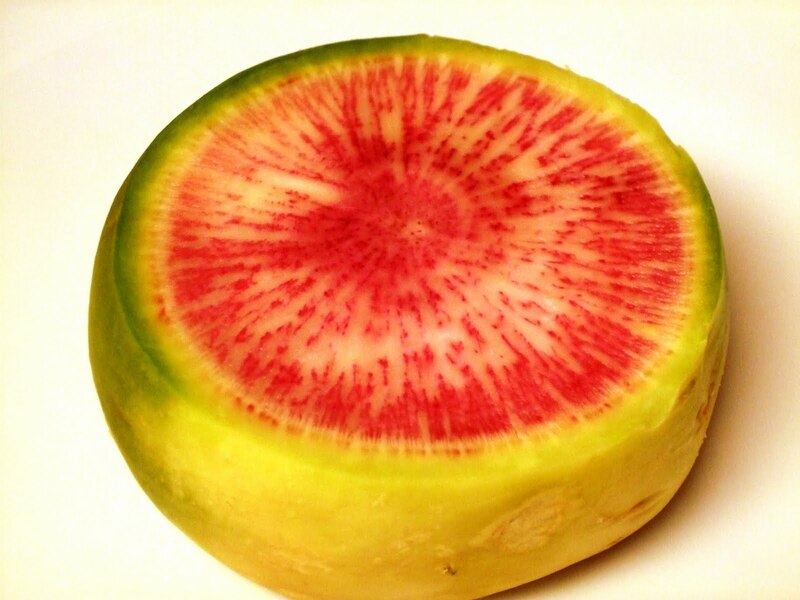 Recently, I was thrilled to pick up this beautiful watermelon radish.Though it is indeed large. it’s not actually the size of a watermelon; it’s closer to your average orange. You can see, though, where it gets its name. Apparently this radish is a type of daikon, but I didn’t spend enough time investigating to find out if that is true. There also appear to be many different varieties. Apparently most of these are actually available in the fall rather than the spring; I’ll start looking for them at the Durham Farmers Market. The result was a nice mix of sweet and sour. 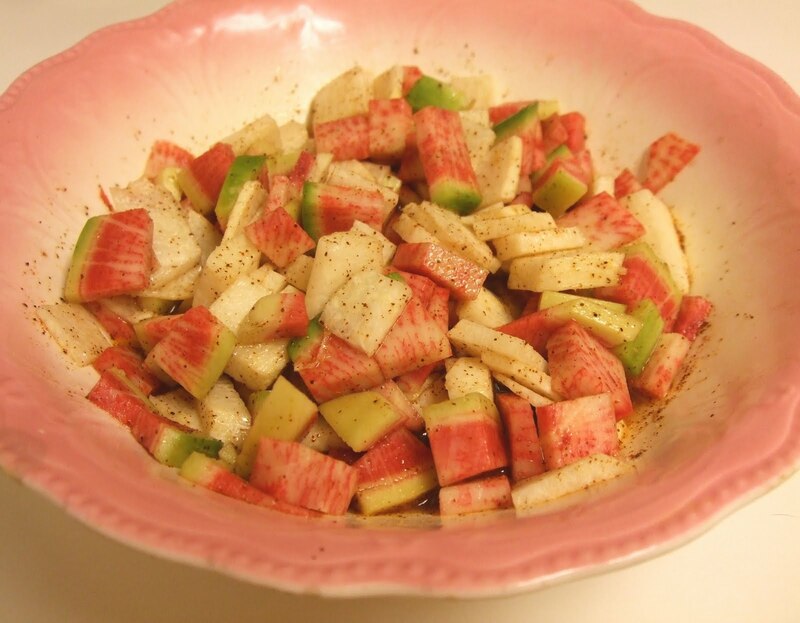 I’ve tried it with regular radishes and apples since, with good results. It seems unlikely that North Carolina’s watermelon radish farmers have developed a contest, but if they did I am certain this recipe would win. I didn't even know there was such a thing as watermelon radishes!